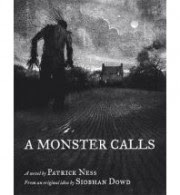 A Monster Calls by Patrick Ness has an unusual and moving genesis. Ness wrote the novel based on an idea left behind by novelist Siobhan Dowd before she died prematurely from cancer. Both the story itself, and the beautifully illustrated book are exceptional. The reader accompanies thirteen year old Conor as he tries to come to terms with his mother's terminal illness and imminent death. I loved so many things about this illustrated novel, presumably for a young adult audience, but really I can't imagine there would be too many readers of any age that would not be swept up by this story. Ness gets the thirteen year old voice just right. 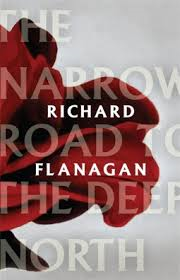 I was totally engaged with Conor; his fear, isolation and anger, are all believably rendered. The story is perfectly paced and edited. In a minimum of words, the reader is immersed into Conor's unravelling home and school life. The scenes with his absent father were heart-breaking as were his battles with bullies at school. Ness has a light touch which is very effective. The monster is both real and metaphorical, a tree creature that Conor has conjured up unwillingly to try and make sense of the unfathomable loss of his mother and his world as he knows it. Ness captures the loneliness of adolescence and the confusion and terror at the loss of a parent. The book is alive with genuine feeling. Illustrator, Jim Kay, enhances the emotional impact of the novel with his dark and subtle drawings. This book is a standout from beginning to end and a work of art in itself. I highly recommended it.